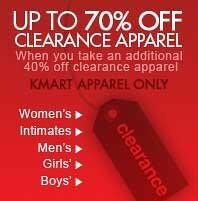 KMart or the Big K is having a great instore and online clearance sale. Take an additional 40% off the markdown price. MarkdownMom found stylish tees in men’s and women’s departments for under $3! Also, MarkdownMom picked up a Giorgio bath kit, reg.$12.99, for 99¢. Pottery Barn’s latest catalog has added another dimension to its’ decorating line–antiques. They have picked up antiques in Europe like glass pickle canning jars, glass oil bottles, etc. Prices are not cheap, but does give us DIYers more decorating ideas. Wednesday Steal: 20 Hours Fashion Clearance Sale! Get your computers ready and your phone dialing finger flexed, the sale is on! At HSN, 20 hours of Designer fashions on Sale! Sale includes outerwear, shoes, designer handbags, oh my! Look stunning at a real bargain this year and next. But Hurry Sale Only Lasts Until 8 P.M. ET Today! Okay, you come home late, tired and after a hectic day looking for a friendly face. You’re greeted at the door with enthusiasm and kisses, but WHEW that breath from your loved one could melt a lead pipe! Now there’s a remedy for those times between visits to the vet! That’s right if your pet has a dirty smelly mouth, you can keep it fresh all the time with the Royal Treatment Dental Kit for large and small dogs. The chew toy can be filled with the breath freshener doggie paste and while your pet plays with the toy, it freshens his or her breath. And for a follow-up put the liquid pet mints into the water dish. Refreshing for both owner and pet. At HSN for $19.95 + sh.